If you think you may require black mold removal services in the Johns Creek, Georgia, area, you can rely on Abatement Solutions, Inc., to handle all of the work needed to make your residential or commercial property a safe environment once again. 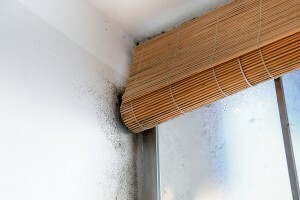 We understand that you haven’t planned on needing toxic black mold remediation – you’ve probably just seen signs of black mold, noticed a moldy smell, or recently had a leak in your building that may have facilitated mold growth, and want to make sure the indoor air quality of your property doesn’t pose a threat to people inside. Inspection – We’ll assess your entire property, including the areas where black mold most commonly grows, and have air samples tested as needed to confirm unseen mold growth. Containment – By quarantining the black mold within physical barriers and putting the space under negative pressure, we’ll keep the black mold contamination from spreading. Filtration – Our black mold removal team utilizes HEPA filtration technology to capture mold spores from the air, leaving only sanitary air behind. Removal – We’ll carefully bag, remove, and dispose of any porous building materials or contents in your property that can’t be salvaged. Cleaning – To kill the toxic black mold and fully eliminate it from your property, we’ll use advanced peroxide cleaners and broad-spectrum fungicides to sanitize the mold-infected surfaces. Restoration – We’ll perform any general construction work needed to return your property to its original condition, such as installing new drywall and baseboards. To ensure you won’t require black mold removal services in the future, we’ll treat the surfaces in your Johns Creek, GA, building with a protective mold-resistant coating, which we back with a 10-year warranty. For more information about our services, contact Abatement Solutions today.